THANK GOD IT'S FINALLY FRIDAY! Hope you have all had a great week and have lots planned for the weekend. Tonight I'm not going to be doing much other than curling up on the sofa with a mug of white hot chocolate and watch Children In Need. One of my favorite things to do this time of the year. I'm hoping next year I'll be able to do something to fund-raise for Children in Need as it is such an amazing cause. But anyway before I ramble on let's get to what this post is about. The last couple of days I have stopped in Boots and Superdrug with the intention of buying things I really do need which were shampoo, hair bobbles and grips. As you can see that's not all I left the shops with. As a lover of all things skincare I just had to purchase these items. Even though the Liz Earle Cleanser is a staple item for me I was so intrigued by the Nivea Soothing Cleansing Mousse. Maybe it is just me but I've never actually heard of a cleansing mousse before. I won't go into too much detail about this product as I will be reviewing it in full but I used it for the first time two nights ago and it left my skin feeling super soft which is something I absolutely love. At £4.99 it's not an item that has broken the bank if I end up not liking it so stay tuned for my full thoughts on this cleanser. The next two items I picked up are both from the Vitamin E brand and are a hydrating face mask (I couldn't find a link for this item, sorry) and a Nourishing Night Cream. Vitamin E is an ingredient that is well known for being a powerful antioxidant that is known for protecting and revitalizing the skin so I'm excited to start using these items. I am always on the look out for new moisturizers and when I saw that the LOreal Paris Skin Perfection Day Moisturiser had been reduced from £14.99 to only £9.99 I didn't hesitate to pick it up. I love how beautifully packaged this product is and I am excited to start using it. I have heard so many good things about how well it sinks in and how lovely the texture is so once again stay tuned to find out my thoughts in full on this item. The next two items I purchased are once again holy grail products for me and they are the Garnier Nutritionist BB Cream and the Collection Lasting Perfection Concealer. I used the Garnier BB cream over the summer and it's so light and provides just the right amount of coverage I need. You should already all know about the collection concealer. A staple amongst many beauty bloggers and for good reason. I will be doing a full review on this item as I would like to throw my two cents in as well. This is now my fourth tube of the concealer I love it that much! Again neither of these products break the bank. The Garnier BB Cream is priced at only £6.66 and the Collection Concealer is priced at £4.19 respectively. I need a slap on the wrist for buying these products but everyone deserves a treat now and again. Like I've mentioned throughout the blog post I will be doing reviews on every item mentioned here in the future so stay tuned if you are interested. Have you bought any of these items recently? 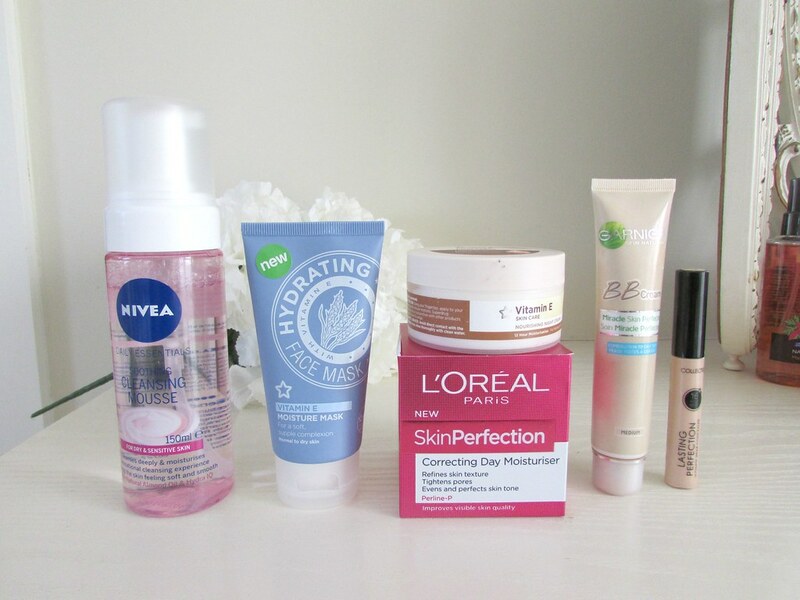 If you have tried any of these products what are your views? Make sure to let me know below. The night cream is really good! This is my second tub now! Cheap and does the job :) definitely worth investing in! I totally agree!! :) thank you lovely!! 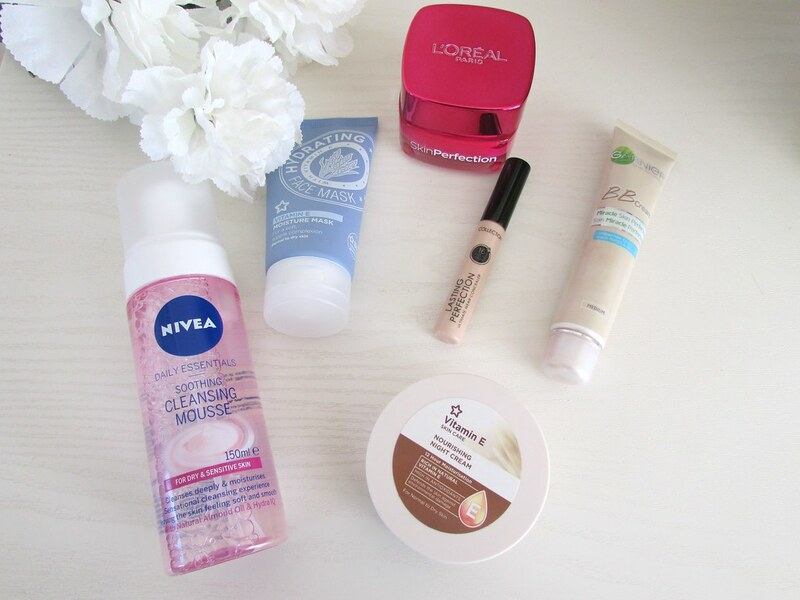 I love the Nivea Cleansing mousse! I have the blue one though!